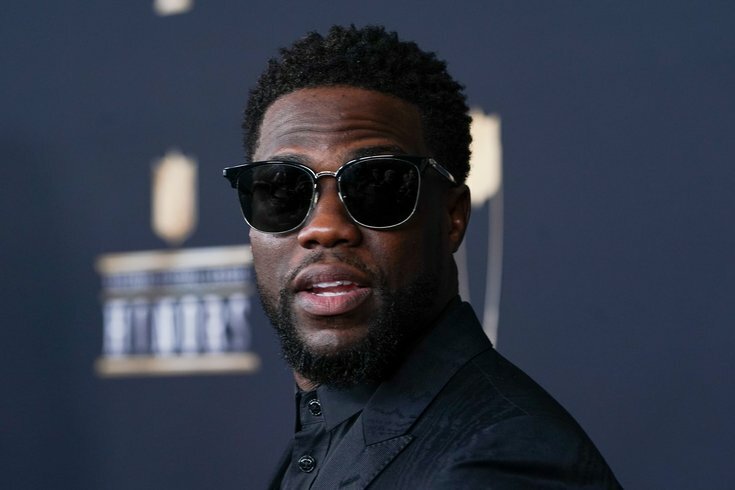 North Philly comedian used slurs on Twitter and described his son being gay as his "worst fear"
Kevin Hart walking on the red carpet the NFL Honors held at the Cyrus Northrop Memorial Auditorium at the University of Minnesota. Kevin Hart announced late Thursday evening that he will not be hosting the Oscars ceremony after first refusing to apologize for homophobic messages he posted on Twitter. "I have made the choice to step down from hosting this year's Oscar's," Hart wrote in a Tweet Thursday. "[T]his is because I do not want to be a distraction on a night that should be celebrated by so many amazing talented artists. I sincerely apologize to the LGBTQ community for my insensitive words from my past." Earlier Thursday night, in an Instagram video, Hart alleged the Academy of Motion Pictures and Sciences had given him an ultimatum: apologize for past anti-gay posting or step down. In the video, Hart said he was refusing to apologize, but apparently had second thoughts. The Philadelphia native and experienced comedian was selected to host the 2019 Oscars on Tuesday. Shortly after, he deleted a 2011 tweet. "Yo if my son comes home & try's 2 play with my daughters doll house I'm going 2 break it over his head & say n my voice 'stop that's gay,'" the tweet, which Hart deleted sometime between Wednesday and Thursday, read. Now, he's being called out for what he's said — and not just on Twitter. "Calling someone a 'fat faced fag,' comparing a profile picture to a 'gay bill board for AIDS' and using the term 'no homo' to frequently remind us of his superior heterosexuality. If he’s even made to comment on any of this, I imagine he will use his youth as an excuse but the tweets in question were sent in his early 30s, quite clearly old enough to know the difference between right and bigoted." By tomorrow Kevin Hart will issue a statement. He is sorry if you’re offended. It’s just jokes. He loves gay people. Free speech. There should be no barriers to comedy. Etc etc etc. Lee also points out Hart's anti-gay attitude in his 2010 standup, in a 2015 profile with Rolling Stone, and that he turned down a role in 2008 because the character was gay. During the standup bit, Hart says one of his biggest fears is his son "growing up and being gay." "Keep in mind, I'm not homophobic," Hart said. "I have nothing against gay people. Be happy. Do what you want to do. But me being a heterosexual male, if I can prevent my son from being gay, I will."